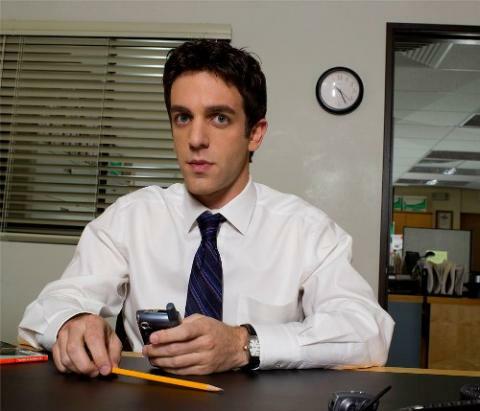 BJ Novak is best known as Ryan (the temp) on The Office. He is also a writer, director, and co-executive producer on/for the show. And he does stand-up. Battered women…sounds delicious, doesn’t make it right. This entry was posted in Humor and tagged bj novak, butler, carolines NYC, comedien, comedy, dunder mifflin, encyclopedia brown, entertainment, funny, humor, jokes, michael scott, mindy kaling, NBC, puns, ryan howard, ryan the temp, sketch comedy, stand up, stand up comedy, the office, wordplay, writing comedy by listenupgetdown. Bookmark the permalink.